High school chemistry may be a distant memory, but getting the hang of tyre pressure will help you get the best out of your vehicle. We asked the experts at BF Goodrich, makers of the toughest all-terrain tyres, to help us decode the science. It’s worth getting a handle on tyre pressure because it affects your vehicle’s handling, traction and the way the tread wears. In essence, the volume of pressure determines the size of your tyre’s footprint (the area in contact with the road) and its stiffness or ability to keep its shape. In case you’ve forgotten the basics from science class, the point to remember is that gas (i.e. 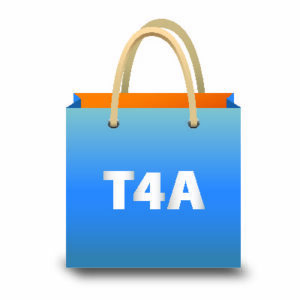 the air in your tyre) expands when heated and contracts when temperature declines. Recommended tyre pressure is based on cold inflation pressure, so follow the below guidelines to get an accurate reading. 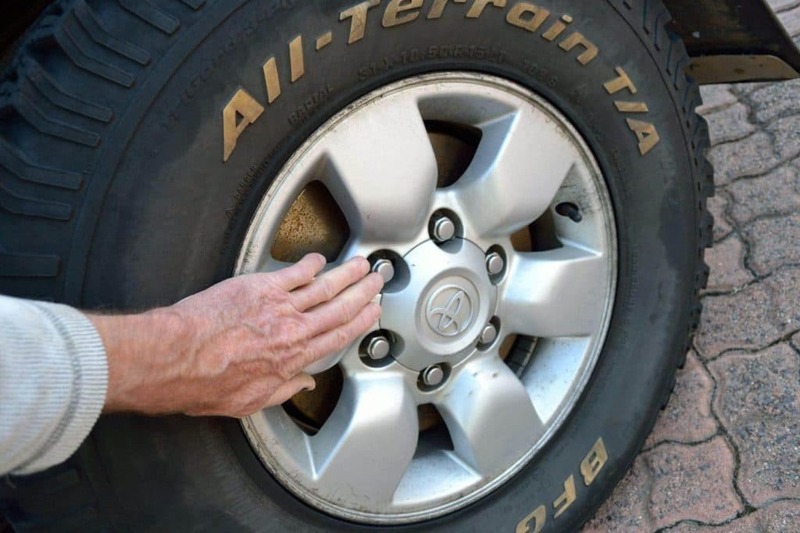 • Check tyre pressure in the morning before the outside temperature rises. • Direct sun on the tyre will significantly increase pressure. • Driving causes friction and warms the tyre, increasing pressure. For this reason, you need to check tyre pressure before driving. 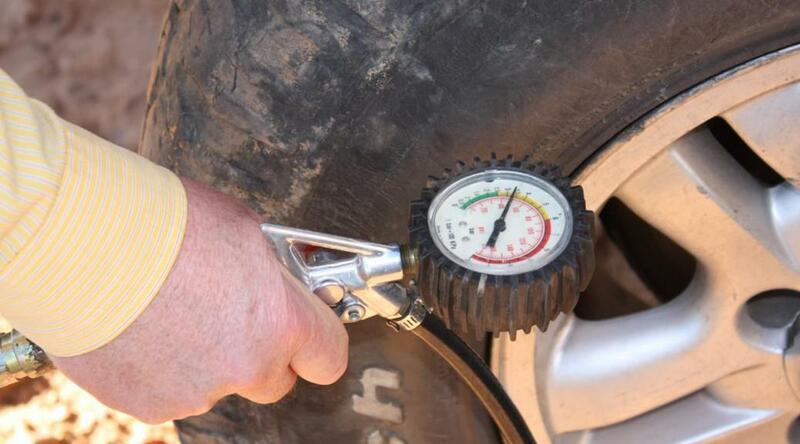 • If the pressure is correct while a tyre is warm, it’s likely to be underinflated once it cools down. Underinflation causes the tyre to continuously overflex, which could lead to premature failure. Do all-terrain tyres need different pressure? Your vehicle’s pressure guidelines (posted inside the driver’s door or found in the owner’s manual) are for the original equipment tyres. If you change the standard passenger tyres to more rugged tyres for off-roading, you have to rethink the tyre pressure. A tyre’s load carrying capacity decreases when operating temperature increases. This means that LT tyres need more air pressure to carry the same load. Why lower your tyre’s pressure? When you reduce tyre pressure, you increase the size of the tyre’s footprint. This spreads the vehicle’s weight over a larger surface and improves traction, extremely useful when driving on sand or rocky terrain. Lower pressure softens the tyre, which allows it to absorb the bumps of a corrugated track. On a fully inflated tyre, every bump is transferred through the suspension, making for a less comfortable ride. Lowering tyre pressure is one of the biggest adjustments you can make to your vehicle’s performance in off-road conditions. It’s even good for the environment. At lower pressure, the vehicle’s weight is spread over a larger area, so it doesn’t dig into the surface as much. Digging in causes damage to the track and the track becomes progressively wider as other drivers try to avoid the damage. What’s the right pressure for the job? The optimum pressure depends on the situation e.g. the surface you’re tackling and how heavily your vehicle is laden. In one trip you may have to decrease and increase pressure several times. For this reason, BF Goodrich recommends always travelling with a reliable pressure gauge and air compressor. Remember to air up when you hit the tar again. A high-quality tyre inflator is essential for extended self-drive journeys. Picture by Karen Theron. How much you lower the tyre pressure also depends on the speed you’ll be driving and personal preference, so there are no hard and fast rules. • Smooth dirt roads: stick to the usual pressure. If you’re driving at similar speeds to tarred surfaces, lowering the pressure would be dangerous. • Corrugated tracks: reduce your tyre pressure by up to a third to make the ride smoother. • Soft sand: lower pressure by almost half to distribute weight over a greater area and prevent the vehicle from sinking in. Golden rule: The lower you go, the slower you go! 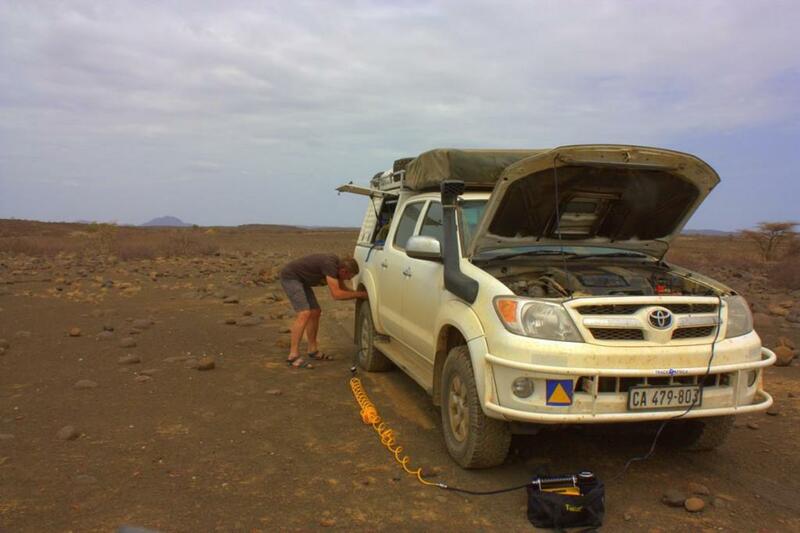 How have you dealt with tyre trouble on a trip? Tell us about your experience in the comments. Recently deliberated between the BFG All Terrains and other tyres. So now I’m running lovely tall MT tyres in the WCape with our wonderful gravel roads. 6000 kms in and I’ve had one puncture already – recently graded road a stretch of flint type knife sharp rocks I think an AT tyre might not have been punctured. Up the west coast Th e softer side wall of the cheaper tyre in these thin sizes makes a longer footprint which is fabulous in soft sand much nicer than the previous 285 75 r16 even running at higher pressures. As I’m heading into Botswana later I wanted a mud tyre but I can now see the shortfalls on our dry sharp rocky roads. To use an analogy for my thoughts on pressures it’s like trying to cut a tomatoes with a sharp knife. Softer tomatoes are harder to cut and so it is too for car tyres. Had great trouble to get tyre off the rim of a LR Discovery in Moremi. Land Cruiser weight via high lift jack wheel spanners and three men jumping on the side eventually got it off. After patching the question was how to re-inflate the tyre. Little electric pump was useless. The double action pump for our inflatable matresses worked like a charm. Popped the rim in less than 20 pumps! The question is whether one should measure the pressure of the tyres before or after loading the vehicle. The size of the foot print will change depending on the weight loaded and then again on the temperature of the tyre as you drive. And faster the flatter the tyre was. This is a practical problem if you cross alternating thick sand and sharp stones as along the Ruacana river in the Kaokoland. One of the things that I have learnt driving low profiles on a Disco 4, is to watch the “profile”. On Rocky terrain I don’t let the profile bulge too much as it makes the side wall vulnerable. Heavily laden at the back I keep my pressure at 2.8 to 3.0 bar. On the front 2.5 bar.These are pretty much the same for driving at speed on hard surfaces. Only on soft sand do I allow the profile to “bulge”. Depending on the load, this relates to about 1.5 in front and 2.0 at the back. This may be useful to other Disco 4 drivers with low profile tires. I would appreciate your comments. I have used Hankooks AT’s on 3 D4’s, I’ve yet to get less than 73,000km on a set. My experience with them is 2.5 bar all round for everyday use, 1.2 bar in sand and 3 bar in rocky terrain so that the side walls do not pinch against the rim – that is not a puncture that can be fixed with plugs 🙂 With my Defender using Hankook MT’s I used the same as above but I will lower to 1.5 on rocky terrain. Number one advice in the bush is to learn how to use gators, always have them with you in your toolbox along with inner tubes, even for the tubeless tyres. Leave the 2nd 3rd or 4th spare on your roof behind at home, they only upset the CoG of your vehicle and add to the fuel bill. Good Article, It makes me more confident in the dessert area’s!